Yeddyurappa's resignation may be seen as laying to rest the polarised debate on whether the Karnataka governor’s decision to call him to form government was correct. New Delhi: The political drama that unfolded over the past week in Karnataka may have ended Saturday afternoon with the two-day-old B.S. Yeddyurappa government deciding not to try and prove its majority in a floor test in the assembly but the stage has been set for a more complex plot line at the national level as the lessons from the state feed into the Lok Sabha election dynamics for 2019. In a tightly-fought battle, the Congress and Janata Dal (Secular) emerged on top as they managed keep their flock of legislators together despite multiple alleged attempts made by the Bharatiya Janata Party to engineer defections in their ranks. Unable to garner the numbers, Yeddyurappa resigned minutes after 4 pm, when the floor test was supposed to take place. However, he did that not before delivering an emotional speech blaming the opposition for conspiring to keep the single largest party out of power. He said that throughout his political life he had only been concerned with farmers and their benefits. He indicated that by keeping the BJP out of power, the Congress-JD(S) were violating the mandate given to the party in the recent elections. It was clear after the Congress and JD(S) allied after the polls that the BJP was in a minority. Yet Yeddyurappa went on to stake claim to form the government. In a controversial decision, governor Vajubhai Vala called him to form the government, and ignored the alliance’s contention that it had a majority in the assembly. Much of the credit for this Congress-JD(S) victory goes to the Supreme Court, which overturned Vala’s decision to allow the Yeddyurappa government 15 days time to prove its majority. 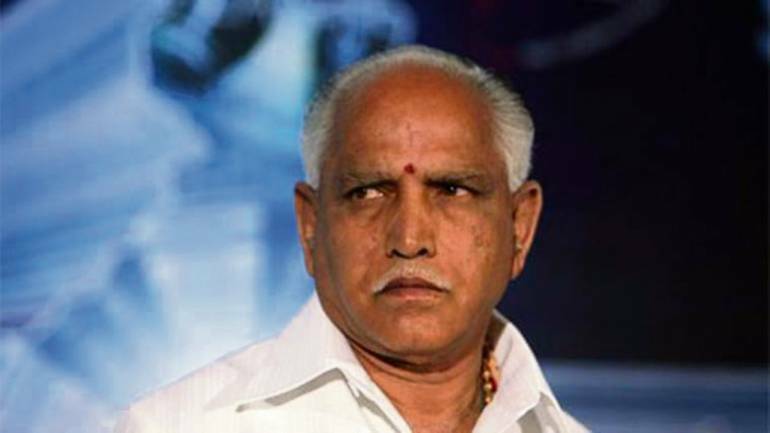 The governor’s decision was surprising, as Yeddyurappa himself had reportedly asked for only one week. In a rare display of promptness, the Congress-JD(S) combine left no stone unturned, moving the Supreme Court twice – first by challenging the governor’s decision to call Yeddyurappa to form the government and then again to get the nomination of the controversial pro tem speaker, K.G. Bopaiah, reversed. They also moved their MLAs around frequently and built public opinion against the alleged bribery attempts by the BJP. The Karnataka Congress was adequately assisted by its national leadership. A united front posed greater challenges to the formidable BJP, which has built a reputation of working as a cohesive unit in its pursuit of power. Yeddyurappa’s resignation also may be seen as laying to rest the polarised debate on whether the governor’s decision to call him to form government was correct. While the Congress-JD(S) had submitted a list of 116 supporting legislators to Vala – a senior BJP leader from Gujarat – he had decided in favour of Yeddyurappa. The BJP and a section of constitutional experts justified the governor’s decision to call the single largest party, claiming this has been the convention. But what complicated the matter was when many started questioning the BJP’s U-turn on the subject, as only recently the saffron party formed governments by cobbling up post-poll alliances in Goa, Manipur and Meghalaya. The NDA government-appointed governors in these states thought it fit to call the post-poll alliances, and not the single largest party, the Congress. Further, most observers saw in Vala’s decision a tacit approval for horse-trading, as allowing 15 days to prove a majority was unprecedented. This tug-of-war between the two political fronts was reflected in the political developments in the state in the last two days. Two Congress MLAs – Anand Singh and Pratap Gouda Patil – went “missing”. The grand old party also released two audio tapes that allegedly showed BJP leaders trying to bribe opposition MLAs to support the Yeddyurappa government. While the BJP dismissed the tapes as fake, the audio tapes gained attention as the BJP leaders reportedly trying to cajole the MLAs were none other than Yeddyurappa himself and controversial mining baron G. Janardhana Reddy. The Congress, meanwhile, in the last two days, kept alleging that Anand Singh had been abducted by the BJP and had been threatened with action by the Enforcement Directorate. Singh, a former aide of the Reddy brothers, had switched to the Congress this January. In a dramatic development, Singh and another absconding Congress MLA, Pratap Gouda Patil, appeared an hour before the floor test was supposed to begin. Congress MLA D.K. Shivakumar reportedly found him in a Bengaluru hotel. Interestingly, the Congress had put Shivakumar – a Vokkaliga strongman from Ramanagara in the Old Mysore region whose businesses were recently raided by the income tax department – in charge of keeping the MLAs together. With this turn of events, the BJP can no longer claim that it was not given an opportunity to prove its majority. Ghulam Nabi Azad, the Congress leader who was camping in Bengaluru, described what happened on Saturday afternoon as a moral victory for his party’s alliance with the JD(S), as the BJP had used “all tactics” to get to power despite not having a majority. JD(S) leader H.D. Kumaraswamy is expected to meet the governor this evening and stake claim to form the government. The Congress-JD(S) alliance looks set to take the reigns of Karnataka in the next few days.